Mr. Warns was born in St. Paul, Minnesota, in 1956. He began a maritime practice in 1984. Mr. Warns practices out of the Seattle office of the firm. He has handled extensive litigation before federal, administrative, and appellate courts. Mr. Warns represents numerous insurers and employers in maritime matters, and he has extensively defended claims brought based upon the extensions to the Longshore Act. Mr. Warns has the highest Martindale-Hubbell (AV) Peer Review rating. 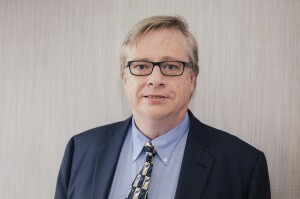 He has also authored numerous articles including: Barriers to Settlement: The Phantom Partners at the Settlement Table and What to Do With Them, 10 Loyola University New Orleans Maritime Law Journal, 367 (2012); The William Price Case Ten Years Later, 12 Loyola University New Orleans Maritime Law Journal, 127 (2013); and Partial Relief from Liability Under Section 8(F) of the Longshore Act, 11 Loyola University New Orleans Maritime Law Journal, 83 (2012). Mr. Warns has made dozens of presentations including: How to Win a Longshore Case, Northwest Longshore Administrators Association Seminar, Portland, Oregon (2012); The Expansion of OWCP Orders in the 21st Century-Providing a Viable Industry Response, Austin, Texas (2014); Defense Base Act Claims Come Home to America, Northwest Longshore Administration Association Seminar, Portland, Oregon (2009); Third Party Claims: The Other Liability, National Business Institute, Seattle (2003); and Inland Waters Not Subject to Longshore Act and Jones Act Jurisdiction, Underwater Intervention Diving Contractor Convention, New Orleans (2002).